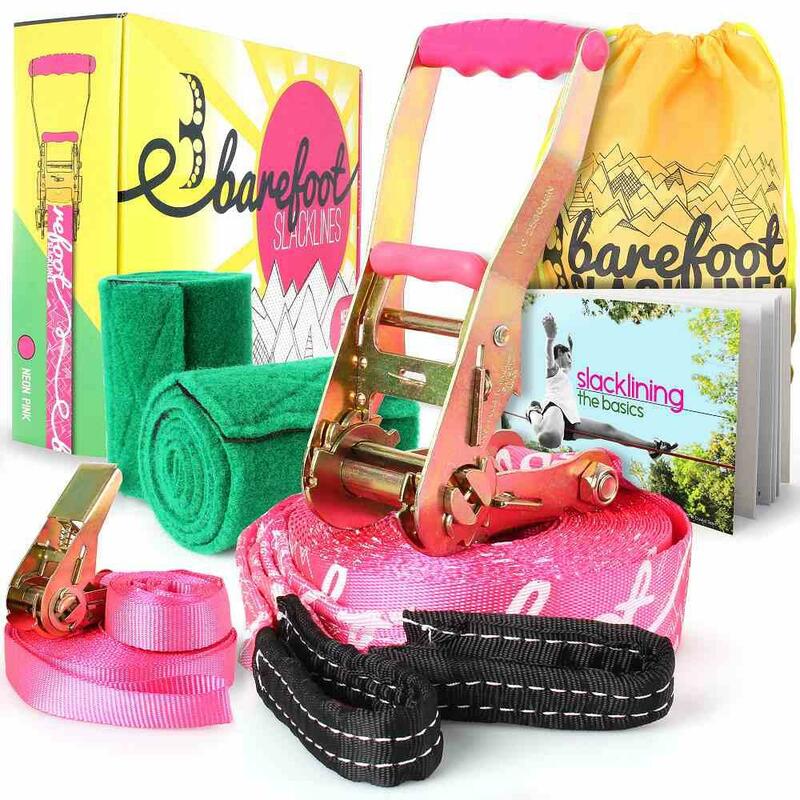 Whether it's your introduction to the slacking world, or just a much needed upgrade, this Barefoot kit has it all. New to slackline? Looking to stand out above all your balancing friends? 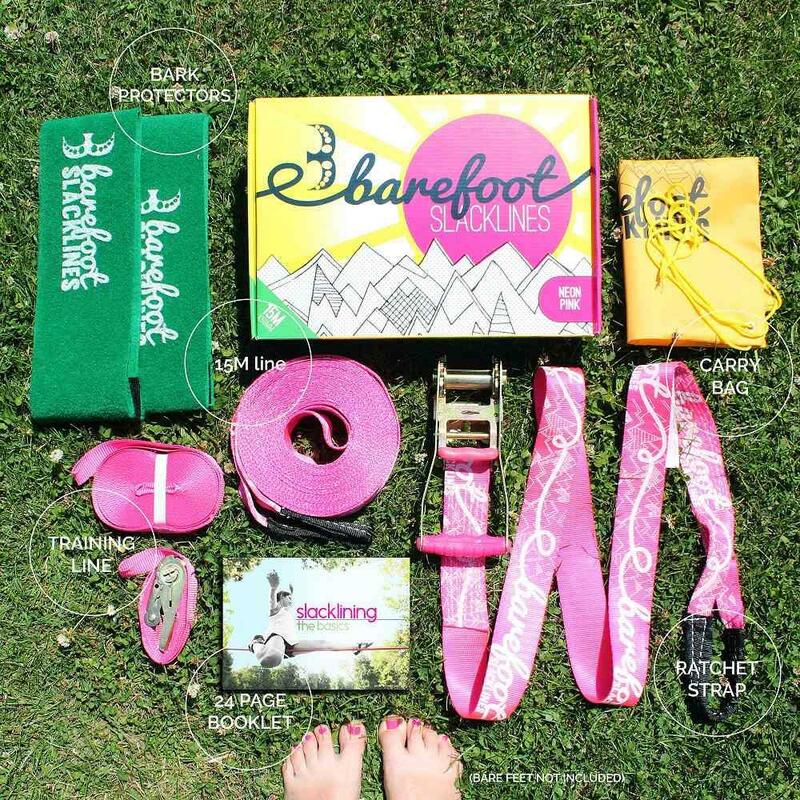 The Barefoot Slackline is a brand new super bright kit that was designed by a team of avid climbers and general thrill seekers. 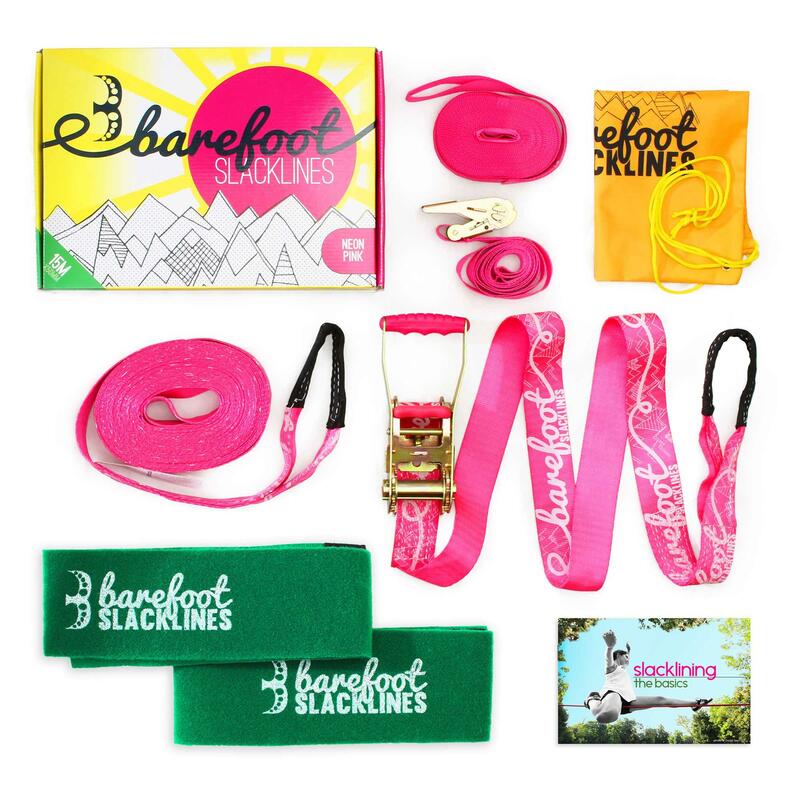 This slackline kit contains everything you need to get started, and master the craft of slackline. 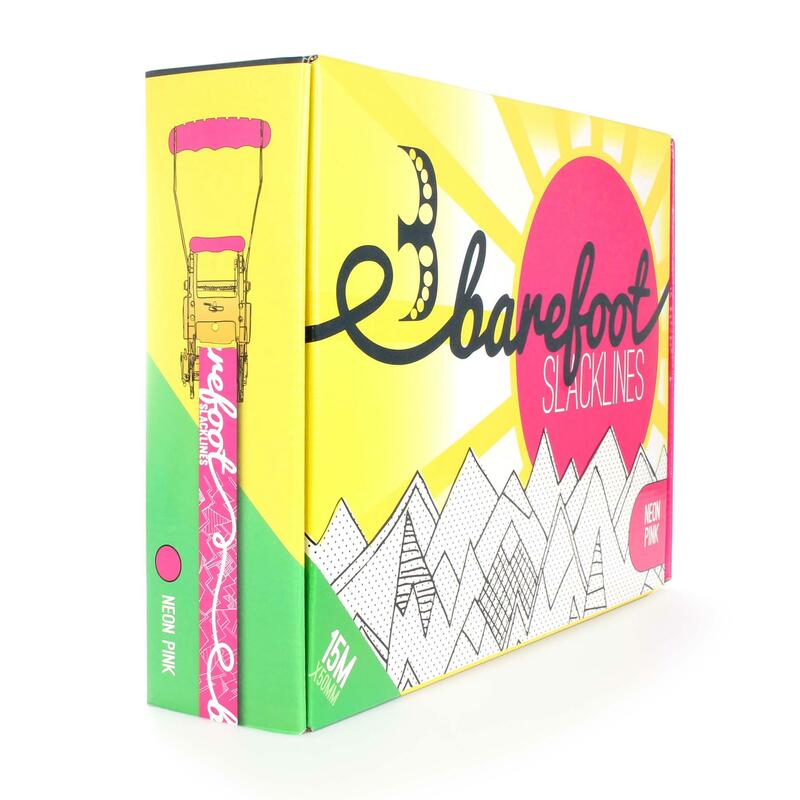 The Barefoot Slackline comes in 3 neon colours with amazing grippy patterns printed directly onto the line, the ratchets are also colour matched to your line, with an ergonomic grip on the handles. 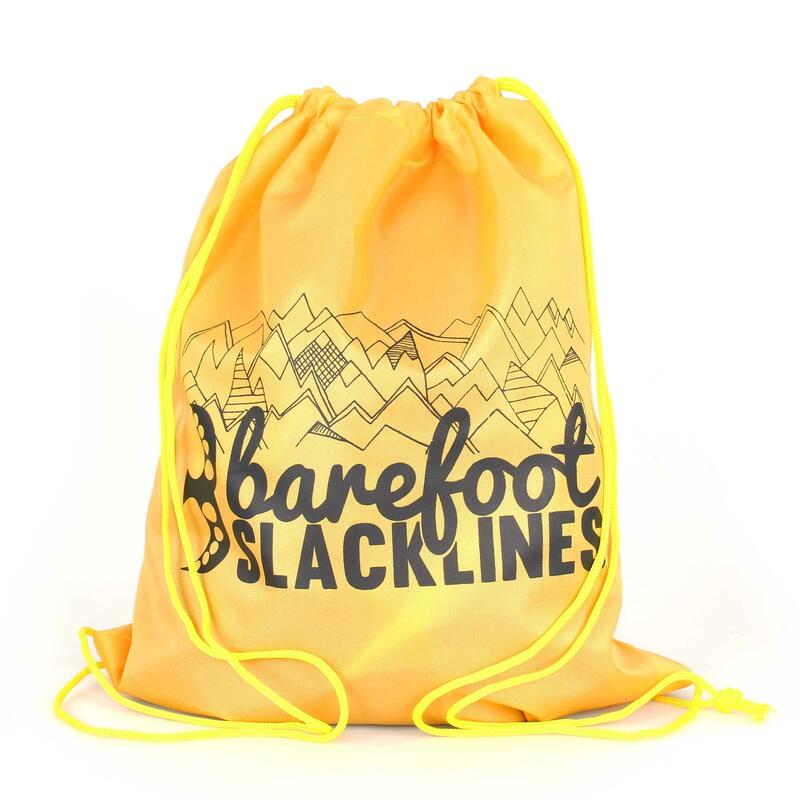 In addition to the standard line, you get two easy-to-use tree protectors to keep your trees safe from the wear of the bark that an unprotected slackline can inflict. 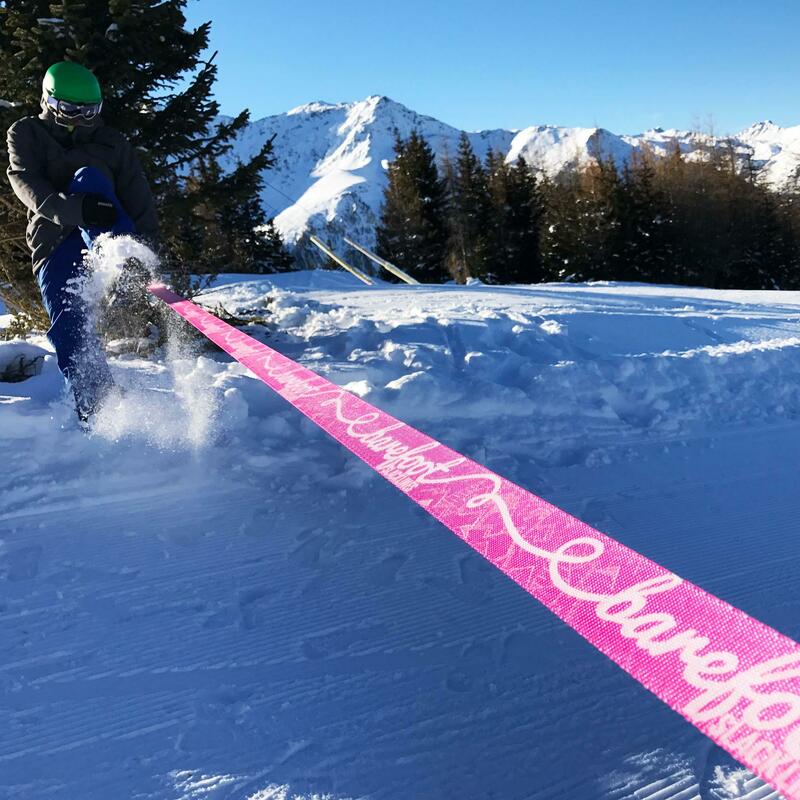 Slacklining has been taking the world by storm over the past 10 years, and has established itself as an extreme sport, but one that allows even beginners to have as much fun as the experts. 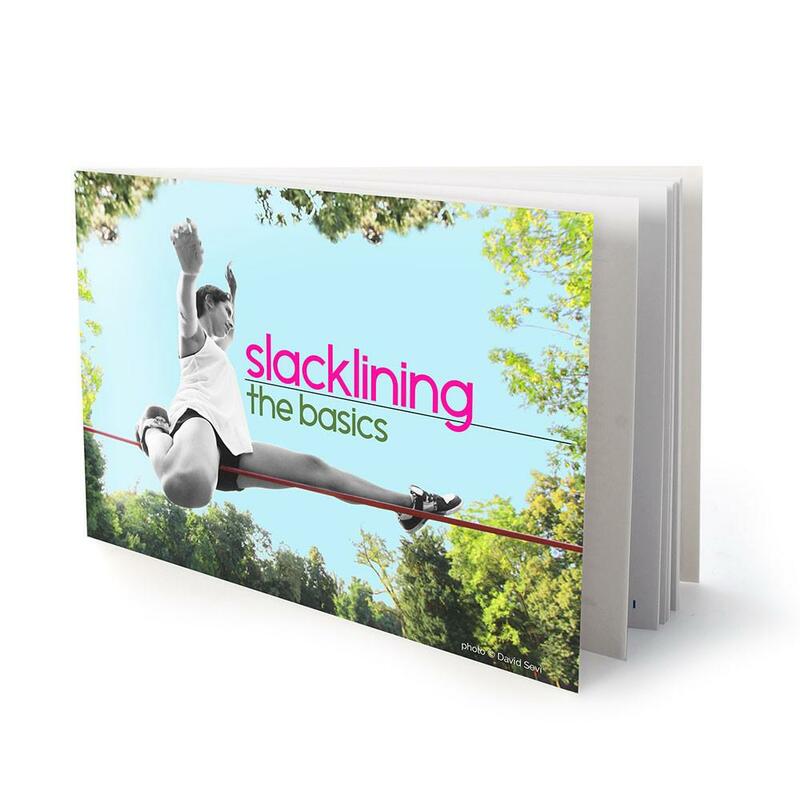 An excellent form of exercise, originally designed to help rock climbers build their core, a slackline is an incredibly portable fitness companion, and can be used as resistance and bodyweight training, as well as for incredible jumps and tricks. 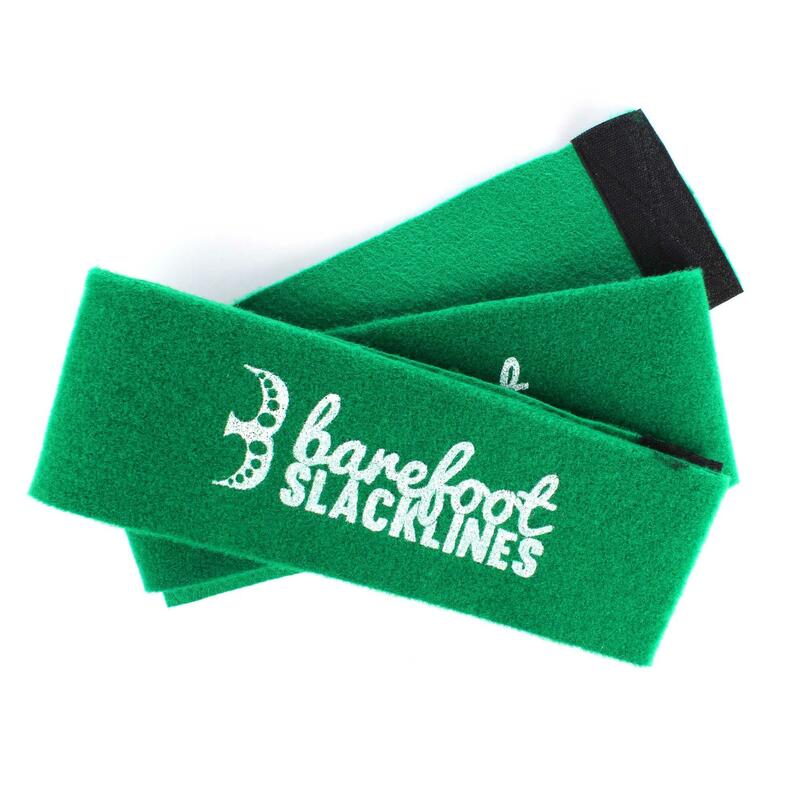 These super strong slacklines are rated at 3T, so can take whatever you throw at them. The recommended maximum user weight is 150kg. Each line is printed along is entire length with an intricate mountainous pattern that evokes slacklining's roots in rock climbing. 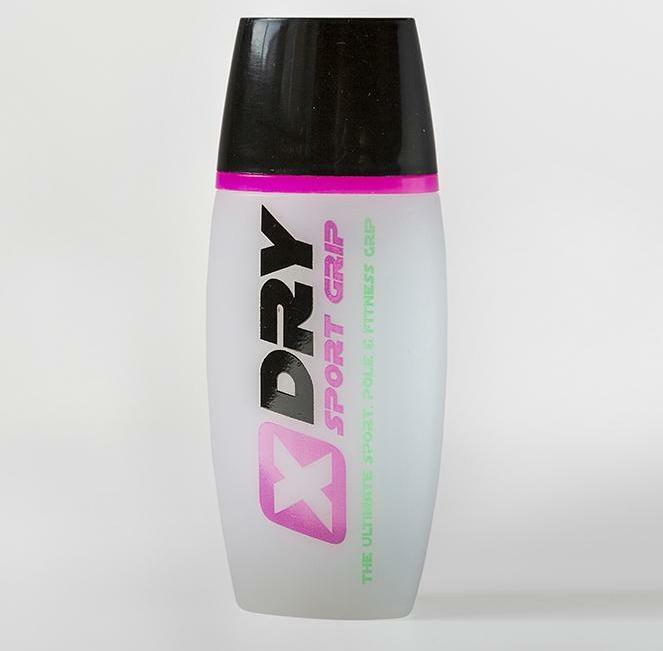 This printing also acts as extra grip, meaning you can truly go barefoot. The ratchet provided with your slackline has two rubberised sections for ease of use, a simple rule for the use of the ratchet is that you can touch the colourful bits, but keep your fingers away from the bare metal. The 2.5cm training line that also comes with these kits is designed to be rigged at roughly head height from standing on the slackline and allows you to steady yourself as you first learn to walk along.